FACT: Over 40% of small businesses in the U.S. are owned by women and multiculturals. Today, many companies are struggling to gain market share from new Americans. The changing face and behavior of our customers requires new non-traditional marketing and distribution strategies. As the marketplace changes, traditional “one-size-fits-all” marketing has become less effective. Consumers are in the driver’s seat and they decide the new rules of engagement. GDM can provide complete situation-based solutions to help you achieve your objectives. 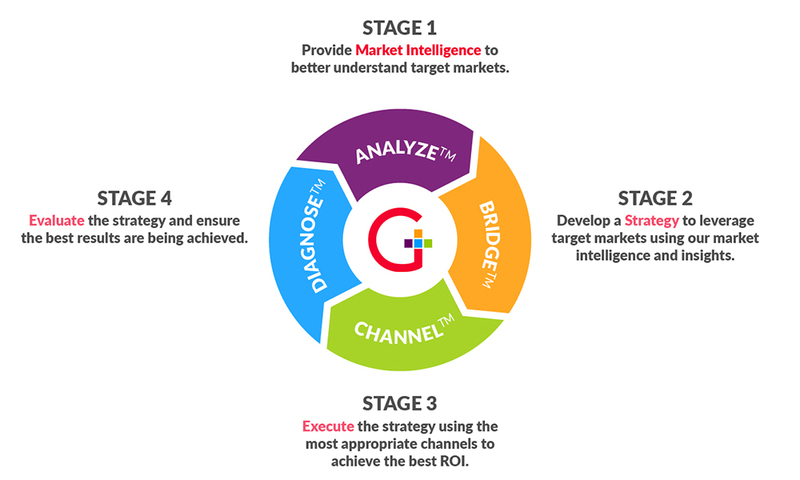 GDM has made a complex multicultural marketing concept simpler through our “ABCD” approach. Whether you are in the initial stages of exploring entry into diverse markets or you are ready to execute revenue generating multicultural and diverse strategies, you will find this approach useful. Our approach is simple. Listen to the client’s needs, offer a unique solution, execute a strategy and analyze the results!